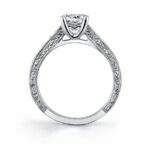 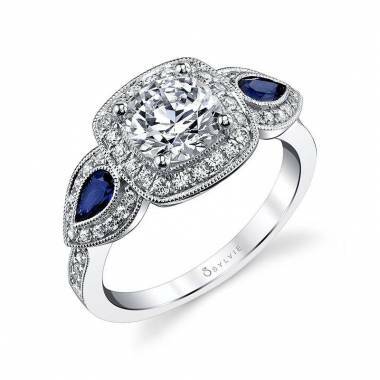 This vintage inspired, white gold engagement ring features a 1 carat round sparkling diamond solitaire placed on a tapered shank accented with graduated diamonds nestled in channel framed in milgrain beading. 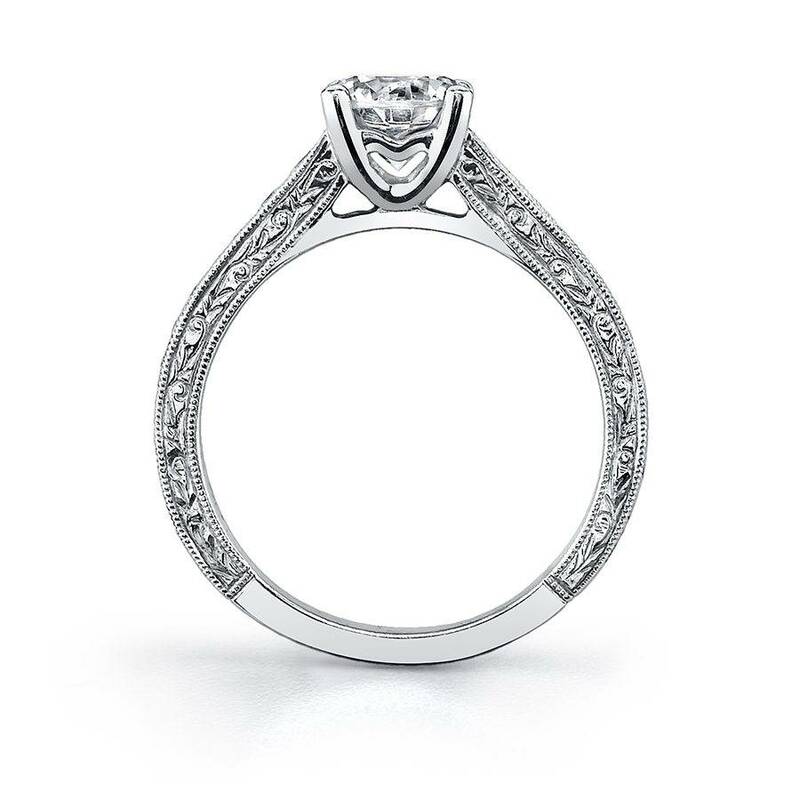 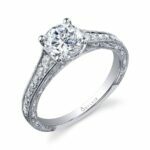 The side profile of the shank is detailed with an intricately hand engraved design, also with a milgrain beaded border. 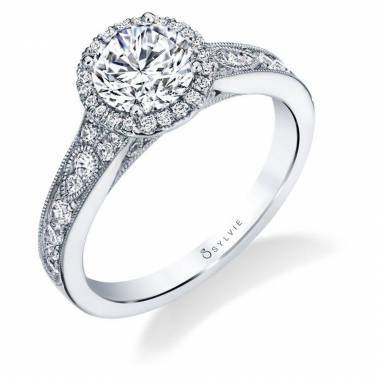 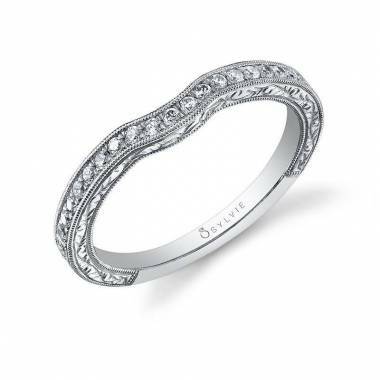 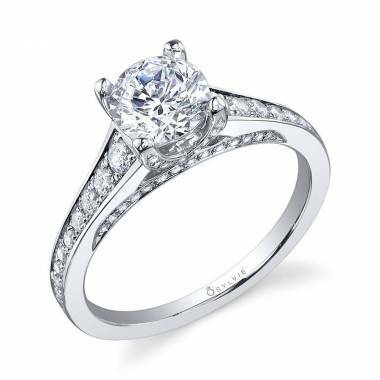 The total weight of this classic beauty is 0.28 carats.